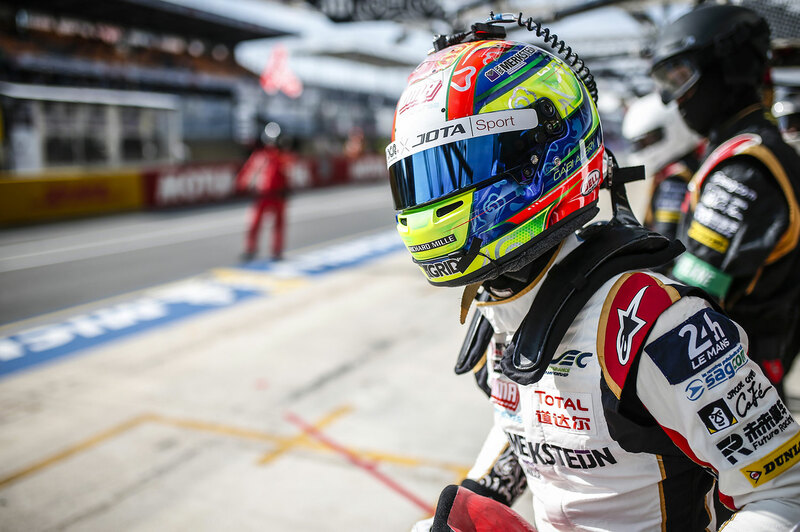 Gabriel Aubry, the young 20-year-old racing driver, made his GP3 Series debut this year, the antechamber to F1, at the heart of Team Arden Motorsport, but he also took part in the 24 Hours of Le Mans for the first time at the wheel of the #38 Jackie Chan DC Racing x Jota LMP2 Oreca 07 – Gibson. Alongside Ho Pin Tung and Stephane Richelmi, the young driver from Yvelines classified in 8th place in the LMP2 class. Working a double programme and with 6 races completed, including a 24-Hour one, at the half-way point of the season, Gabriel gives us his update on his season so far by answering five questions. 1. What has been the most magical moment of this first part of the season? Without a doubt the week of the 24 Hours of Le Mans! Living an experience like that was just incredible! The parade, the starting grid, racing at night… it’s all extraordinary! I knew that it would be an unforgettable human and technical adventure, but not to such an extent! 2. Was it difficult going from driving the Dallara GP3 to the LMP2 Oreca 07-Gibson prototype ? It’s not easy, that’s for sure… We had anticipated this problem and we put simulator training sessions in place before each time I run in the FIA WEC or GP3 Series. Not getting much track time in Free Practice in GP3 doesn’t help matters. 3. What difficulties have you encountered at the start of this season ? For now, the greatest of my problems is in the GP3 Series. The Pirelli tyres are very particular… They require you to be very precise in how they are used and one single little mistake can have a massive impact on performance. It’s my number 1 focus at the moment. 4. What are your goals, going forward ? 5. 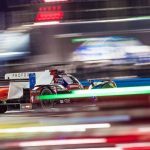 What is your assessment of your first 24H of Le Mans ? What I remember from that first 24 Hour race is that no matter how much you prepare, you never know what will happen during the race. We were 100% ready, but I never expected that I would have to deal with all those problems! You have to remain humble towards this race; finishing it is already a victory !